Stepping stumps offer a simple stretching and balancing challenge for children to step between the various height stumps. All stepping stumps area anti slip to provide greater grip and can be supplied in brown, green and blue. 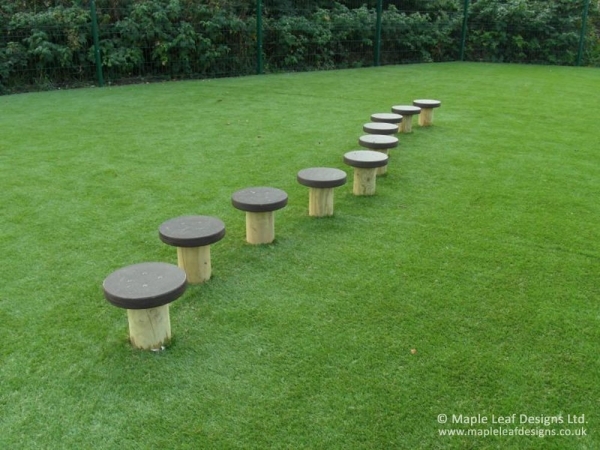 The stumps can also be used as seats in quiet play time. Stumps are supplied in sets of five but can be supplied in any quantity required.